Manufacturers continued to improve water-dispenser technology, and by the late 1990s we described it as a worthwhile convenience, though one that adds to the initial cost of the refrigerator, along with the heightened risk of repairs down the line. That’s still the case today, though water-dispenser technology has gotten so good—capable of producing clean, crisp, filtered water at the press of a button—that most consumers are willing to put up with any downsides. In fact, Consumer Reports’ latest consumer experience research found the water dispenser to be among the most indispensable options among today’s refrigerator features. That has manufacturers doubling down on the technology, looking for new ways to build a better water dispenser. Here are five examples that caught our testers’ attention in recent tests. 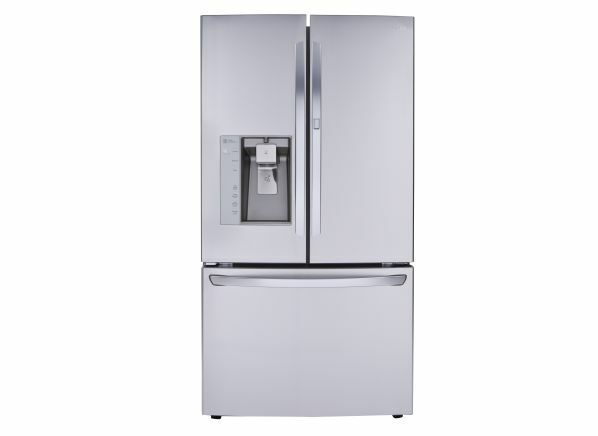 No matter which fridge features appeal to you, check our refrigerator buying guide and reviews of more than 350 models before you shop. 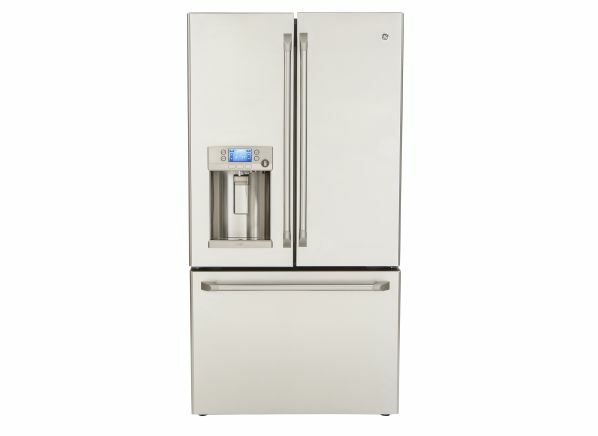 GE was the first manufacturer to introduce a through-the-door ice and water dispenser on a custom model way back in 1969, and it remains a leading innovator today, as evidenced by this French-door refrigerator. For starters, it not only dispenses cool, filtered water but also will give you hot water as well; the digital control panel offers four preprogrammed temperature settings, ranging from lukewarm for baby's bottle to piping hot for tea, oatmeal, and soup. The wizardry doesn’t stop there. There’s also a built-in Keurig pod coffeemaker that lets you brew a cup of coffee from the dispenser. The fridge is WiFi-ready, meaning you can even instruct it to start heating the water for your morning tea from your smartphone. Not to be outdone by GE’s partnership with Keurig, Samsung teamed up with SodaStream to create the first-ever refrigerator with an integrated sparkling-water dispenser. It uses the same carbon-dioxide cylinders as SodaStream’s freestanding seltzer makers (enough to make 60 liters). You can choose from three levels of carbonation for sparkling water with the same control panel you use to select water or ice. One big complaint with early through-the-door water dispensers was that you could fill only short containers under the spout. LG solved that problem in a big way with the launch of its extra-tall dispenser, which makes it easy to fill pitchers, water bottles, and other oversized containers. 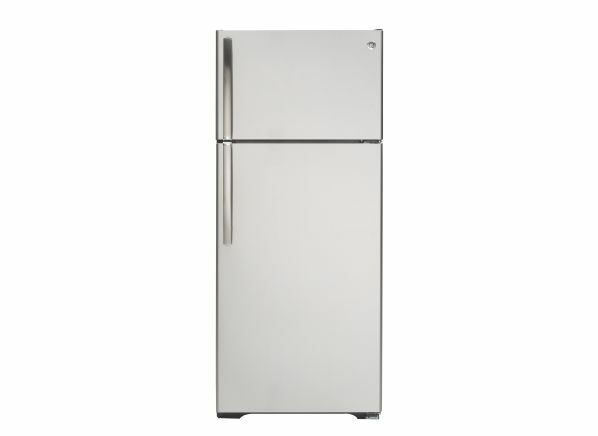 The tall dispenser is found on many LG refrigerators, including this French-door bottom-freezer, which earned the highest score in our current ratings. Let’s say you need exactly 8 ounces of water for a recipe. 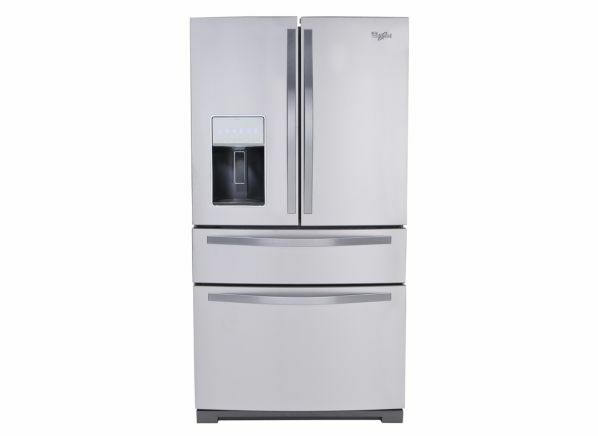 Your first move would probably be to pull out the measuring cup—unless, that is, you have this Whirlpool four-door French-door refrigerator in your kitchen, with its "measured fill" water dispenser. Simply tap into the control panel the exact amount of filtered water you need in ounces, cups, or liters, and the dispenser will fill your container and automatically shut off when the desired amount is reached. Although it misses our recommended list, this 36-inch-wide Whirlpool delivers excellent temperature control and energy efficiency. Here’s another bit of innovation from GE: the autofill pitcher, a carafe-style water filter that automatically refills when you place it in the dock inside the refrigerator. GE developed the feature knowing that owners of top-freezers are also likely to use carafes because it’s difficult to find that type of refrigerator with an actual water dispenser. 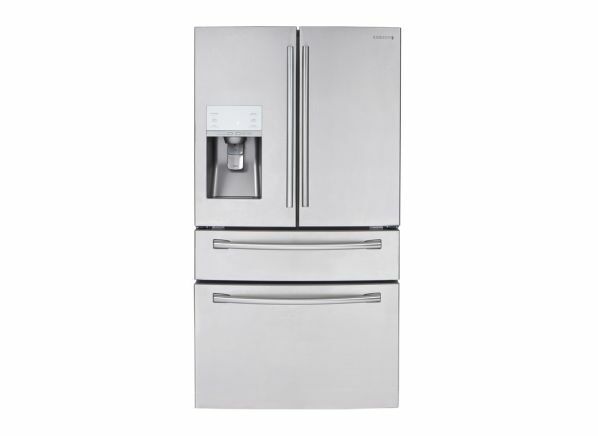 This GE top-freezer struggled in our tests, receiving mediocre scores for temperature performance and noise, but we’re hoping the autofill pitcher will show up on high-performing models, from GE as well as other brands.